Soccer Mommy, the project of Nashville native Sophie Allison, has released a re-worked version of her song “Henry,” the A-side of a forthcoming seven-inch that also features her cover of Bruce Springsteen’s “I’m on Fire.” The seven-inch is out Oct. 19 through Fat Possum Records. “Henry” was originally included on Soccer Mommy’s 2016 collection For Young Hearts, and the re-worked version keeps things mostly intact, save for some clearer vocals. Allison has also re-released her debut album Clean on limited-edition pink vinyl. The release is in partnership with Ten Bands One Cause, where 10 artists re-issue their albums on limited-edition pink vinyl to help raise cancer awareness and support Gilda’s Club NYC, an organization that provides community support for both those diagnosed with cancer and their caretakers. You can purchase the pink-vinyl edition of Clean here and preorder the limited-edition red vinyl seven-inch featuring “Henry” and “I’m on Fire” right here. Listen to “Henry” below, and while you’re at it, check out Soccer Mommy’s Paste Studio session from earlier this year. 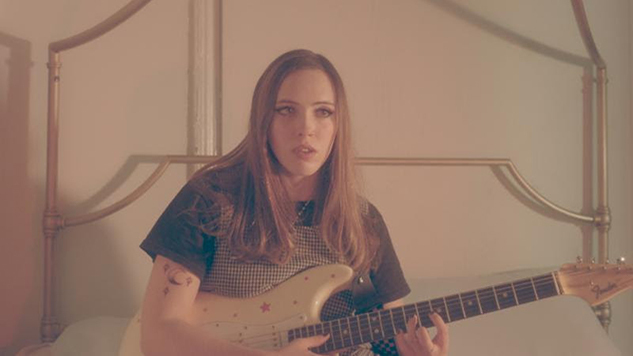 Soccer Mommy will be touring for the remainder of the year—find those dates further down.